It’s that time of year for our annual Winter Mardi Gras event. 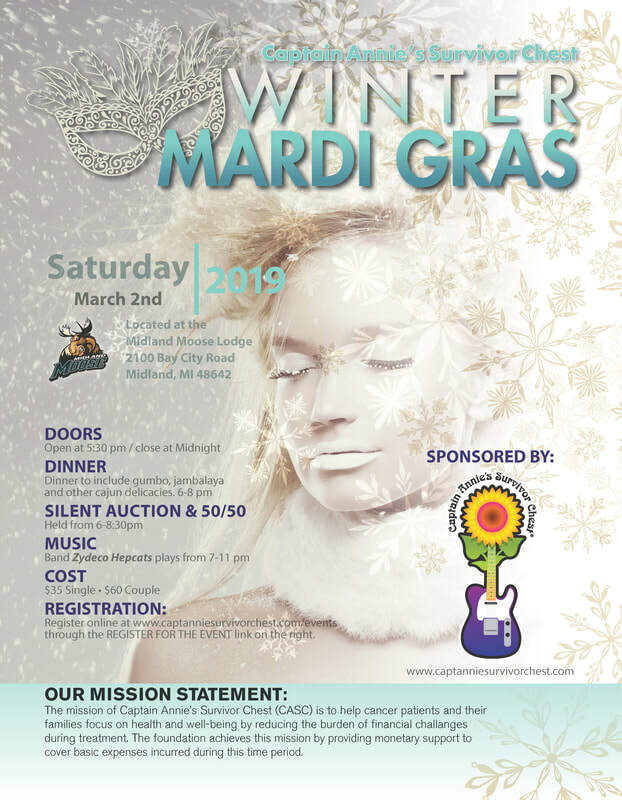 This year’s event is Saturday, March 2nd 2019 at the Midland Moose. Our event always has great music, great food, silent auction and 50/50. Last year’s event was a great time and we were able to raise funds to help those fighting cancer. Come join us for a great cause!